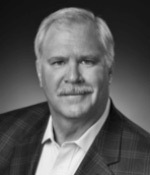 Tom Nickoloff, Founder and Managing Principal at Camino Real Capital Partners, LLC (“CRCP”), headquartered in Santa Fe, New Mexico, is responsible for the all of the firm’s management and strategic planning activities. Mr. Nickoloff, as the founding member of CRCP, has been instrumental in building CRCP into a successful private equity and venture capital platform by leveraging his extensive management and technology experience developed in the Oil and Gas industry. Mr. Nickoloff is also the founder, or co-founder of a number of Oil & Gas related entities, including: TRNCO Petroleum Corporation, a Geophysical Project Management company, based in Midland, Texas where Mr. Nickoloff serves as President and Chief Geophysicist and Estancia Oil and Gas, LLC, an upstream exploration and production company, with offices in Midland and Austin, Texas. Mr. Nickoloff is credited in industry journals, and has received awards for, developing, testing and implementing many new seismic data acquisition methodologies and processing techniques and is considered one of the early adopters and innovators of the 3D seismic industry. Mr. Nickoloff is a proven technology innovator, successfully recognizing and developing emerging technologies, and has experience building and managing successful business ventures. Mr. Nickoloff has served in both elected and appointed public office, and on the Board of Directors of numerous non-profit organizations- most recently Big Brothers Big Sisters, Mountain Region in Santa Fe, NM. Mr. Nickoloff earned a B.Sc. in Geophysical Engineering at The Colorado School of Mines.